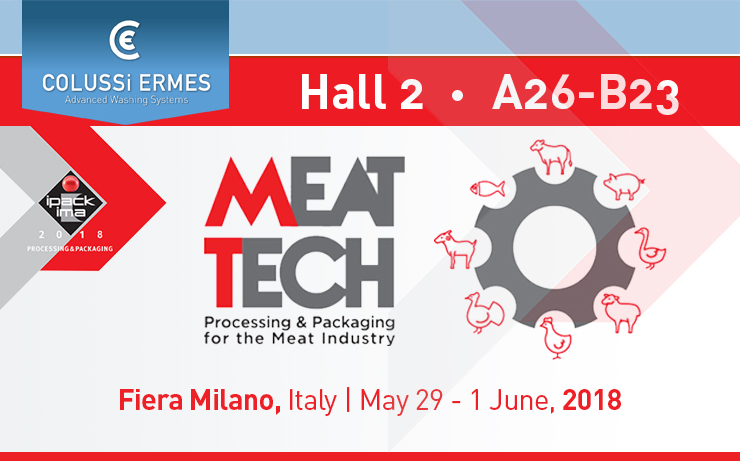 The meat industry meets in Milan at MEAT-TECH, the second edition of the fair specializing in innovative technology and solutions for meat processing, packaging and distribution. Don’t miss the chance to visit us, It will be an opportunity to meet and get to know our Company and our products to which we dedicate passion and talent in order to provide our Clients with excellent performing washing systems. Our project is called “TAILOR MADE”, a true company philosophy which meets the requirements of product customization: each washing system is designed, developed and configured for each individual customer, realising unique systems which meet specific requirements.